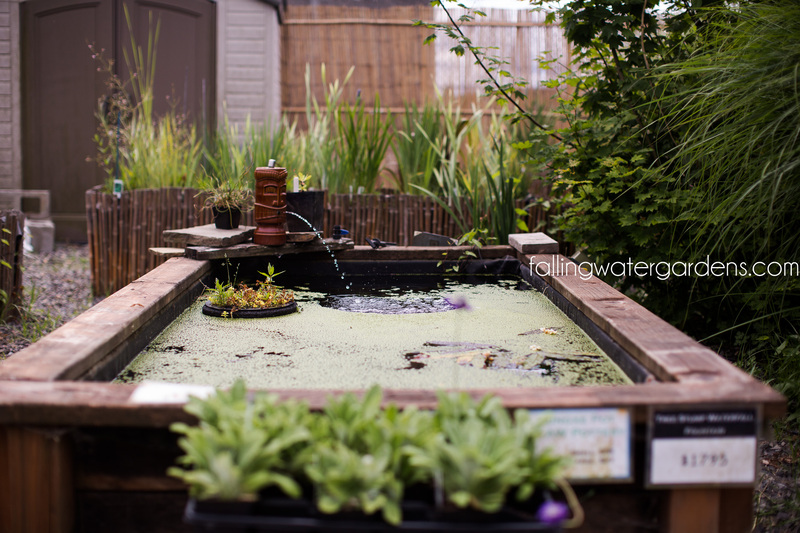 The pond winterization process actually begins in fall. Water temperature drops to about 50°F towards the end of October. The biological filter stops functioning as bacteria dies off and aquatic plants begin to die back. Dead organic matter dropping to the bottom of the pond creates an anaerobic situation and releases gasses that can become toxic to fish. Fish can no longer digest high protein food and should be fed either cool weather food, or not fed at all. The UV sterilizer should be turned off and the skimmer cleaned more frequently. To ensure better water quality and to preserve your investment, certain tasks need to be done. Protect your fish health by changing to cool season food. Cut back aquatic plants, clip and trim dead plant material, remove annuals like hyacinth and lettuce, prepare plants for winter. Check the skimmer frequently during fall leaf drop and winter winds. Turn off the UV Sterilizer and (when practical) drain and store. Skim the pond and remove as much dead organic plant material as possible. As the water temperature cools fish cannot digest their food as efficiently. High protein Summer food can actually rot in their gut and cause abscesses. 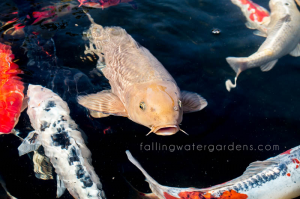 As the water temperature drops below 60 degrees you should switch to a cool season, or Spring/Fall food that has more wheat germ which is easier for your fish to digest. When the temperature drops below 50 you should stop feeding your fish entirely until Spring. 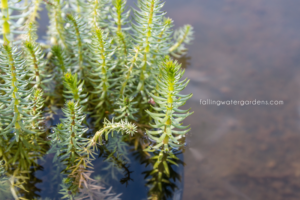 Plants start to die back when the water temperature drops. Cut back plant material that is decomposing and dropping to the bottom of the pond. Dispose of annual plants before they can sink to the bottom. Don’t cut back anything that is evergreen. Two common problems that shorten the life of your pump and void your warranty. First, never pull your pump up using the cord. Stretching the cord can weaken connections within the pump or cause a leak in the seal around the cord. 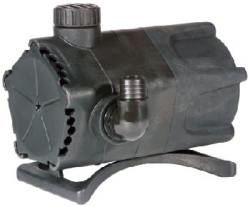 Either problem will cause the pump to start shorting out your GFI and you’ll need a new pump. Pump manufactures exclude cord problems from their warranty, so never let anyone pull your pump by the cord! Another pump problem is gunk clogging the inlets. Even clients who have a skimmer need to periodically close the door to the skimmer and let the pump empty the skimmer box. 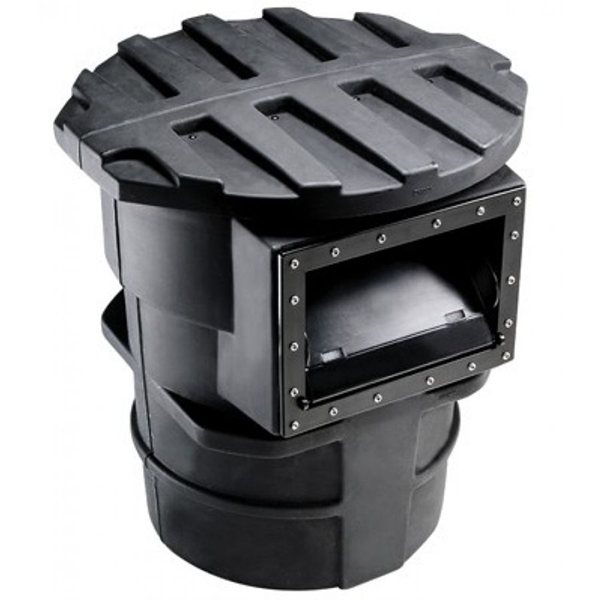 Look in the back of the skimmer box where the pump is and make sure no pine needs, or other gunk has gotten back there. If you don’t have a skimmer, you must be even more diligent in checking your pump. If you ever notice a reduced volume of water coming out of the pump it is a sign that something is blocking the inlets to the pump. Most pumps are water cooled. If the inlet to the pump is blocked it works harder to pump. As it works harder it heats up internally. Eventually the pump gets so hot that the seal keeping the water out fails. Once this happens, your GFI starts shorting out. Failure to keep the pump inlets clear voids your warranty and shortens the life of your pump, so make it a habit to check the inlets periodically, especially in the fall when the wind starts to knock all the needles out of your Douglas fir. As the leaves and needles start to fall it is important to clean your skimmer more frequently. Once the leaves have all fallen you can clean it less often through the winter. Remember that you must periodically pull the filter matting out of your skimmer and hose it off very well to clear the needles out of it. As the water temperature approaches 40 degrees algae growth becomes less prevalent. We suggest that you turn your UV sterilizer off by unplugging it around October 15th. If you turn it on in April and turn it off in October, you can use the UV bulbs for two full seasons and replace the bulbs every third year. If you don’t turn off the UV by unplugging it, then you should replace your UV bulbs every season. 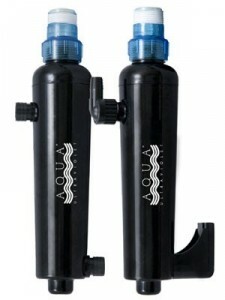 If you keep your pump running all winter then you don’t usually have to drain your UV. If you plan on turning the pump off during the winter, then the UV sterilizer valve should be closed and the UV drained to protect it from freezing. 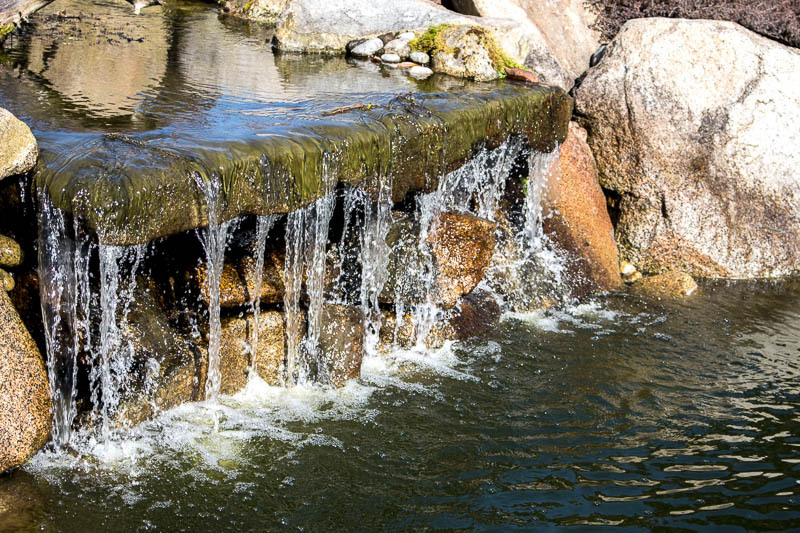 Falling Water Designs suggests that you run your pump all year long because moving water almost never freezes and your pond will be healthier if you keep the pump running. Clients who have a biological filter (which is not the up-flow filter that many have at the top of their waterfall), can clean and drain it for the winter. Once the water temperature drops to 40°F, the beneficial bacteria in the filter mostly die and stop working. Cleaning and draining the biological filter will prolong the life of the filter media. Watch our How-To video here. Finally, if this all seems like too much work, Falling Water Designs offers Fall Prep as part of our Maintenance Plan. Just give us a call at (206) 323-2873 or email info@FallingWaterDesigns.com to schedule your prep for Fall.